It has long been known that raptors, Storks and most large birds need thermals to gain elevation, and it has long been recognised that Rift Valleys and Mountain chains provide an excellent chance of seeing these interesting birds. Combine this with correct timing, for example when these raptors are returning from their breeding grounds in the Northern Hemisphere and travelling south to their wintering areas then your chances will increase. environment in the Ruwenzori foothills. One of my first forays was North of Fort Portal in the vicinity of Lake Saka. Here I observed my first Ugandan Great-crested Grebes together with a sprinkling of returning migrants like European Bee-eater Common Cuckoo and Icterine Warbler, while overhead I was pleased to see a couple of Steppe Buzzard, three Honey Buzzard and four European Hobby. This might be good for passage raptors! Saturday 4th October 2014 was dreary and wet with rain falling for over six hours, but Sunday 5th was crystal clear with no cloud cover on the Ruwenzori chain. My wife and I decided to get up early, drive to the lake and walk on from there towards the escarpment overlooking the Lake Albert rift valley. Towards mid-morning we saw our first raptors, three Steppe Buzzards over-flying us travelling south. 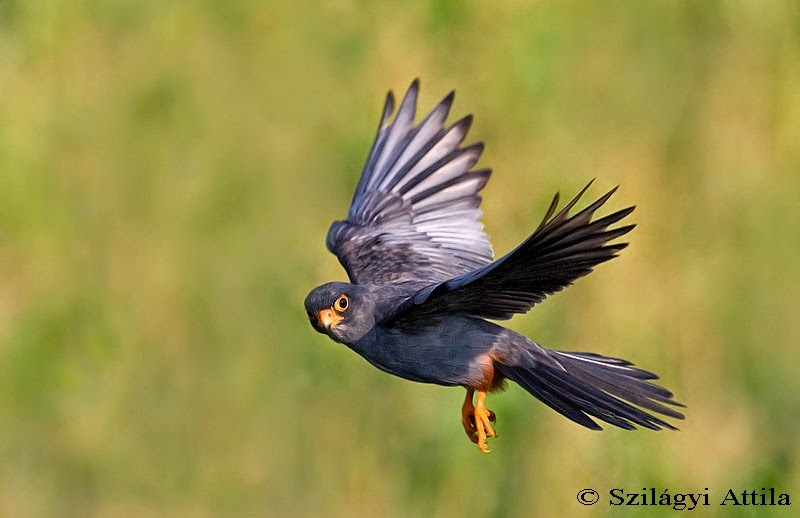 Then as the morning progressed more raptors began appearing with “kettles” of Steppe Buzzard and Lesser-spotted Eagle’s appearing overhead as they climbed up the rift. At about 10am I saw a circling Honey Buzzard and while watching it a small falcon appeared, initially appearing all grey below with an obvious orange/red ventral area. It had to be a male Red-footed Falcon and we watched it for a couple of minutes soaring with the Honey Buzzard before gaining height and both birds drifting south. 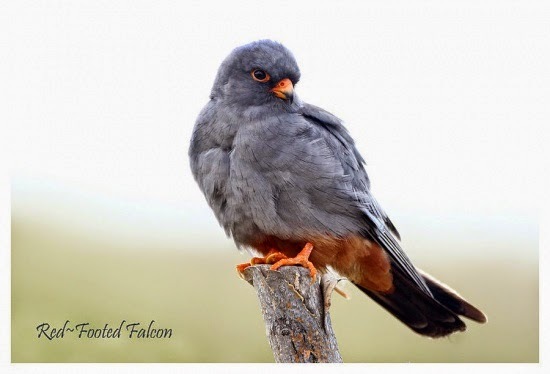 This is only the third record of Red-footed Falcon for Uganda and just one of many raptors seen this morning before the clouds started appearing and migration curtailing and the inevitable Fort Portal rains re-appeared.